The recommendations I make in this program for losing body fat are the same ones I would make for good health: reduce saturated fat, reduce refined sugars, eat a variety of natural, unrefined foods, eat plenty of fiber, eat small, frequent meals, drink plenty of water, and so on. 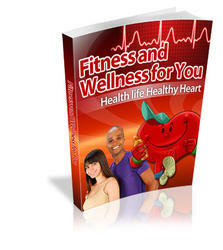 This program is healthy and nutritionally balanced. Any diet program that is not nutritionally balanced is going to fail you in the long run. If you are a physique athlete (bodybuilder, fitness or figure competitor) or you aspire to become one, you will need a more restricted diet when you reach the level of competition. However, a pre-contest diet is a temporary tool used to help you reach a peak condition. When the competition is over, you will always return the same balanced, healthy baseline nutrition program for maintenance.